The charming rustic mountain tavern is just 50 metres from the mountain station of the revolving gondola cableway. During the day, it serves the classic fare typical of excursion destinations. This reduces the waiting times and lets you get the most out of your day. During the winter season, we are also open on Monday and Tuesday, 09:00 – 17:00 h.
Those with a sweet tooth will relish the quirky ice-cream concoctions with hand-made ice-cream from the Gelateria Artigiana in Brunnen. The restaurant seats 60 people, has a bar corner and an outdoor area with 70 seats. On Friday and Saturday evenings we offer a more elaborate selection of dishes. We also recommend trying our hearty cheese fondues or a fine fondue chinoise (booked in advance) during the winter season. 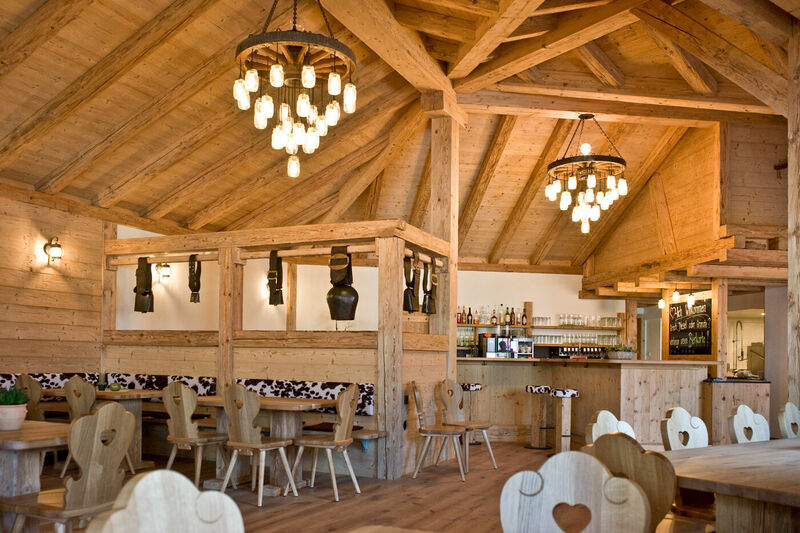 Our musical entertainment on Saturday nights is very popular and never fails to create that ski-hut atmosphere and plenty of good mood. It beautifully complements the night tobogganing fun. Bookings are recommended. We rent out rooms in the neighbouring building, which features six double rooms and a series of facilities for our guests to share: bathroom with a bath tub, WC with a shower stall, kitchen with kitchen table, lounge with sofa and table, an outdoor sitting area, a ski room. We also rent out two holiday apartments (old style) in the same neighbouring building.